Smartwatches can help you with a litany of tasks straight from the wrist, but until now they've depended on your smartphone for life support. 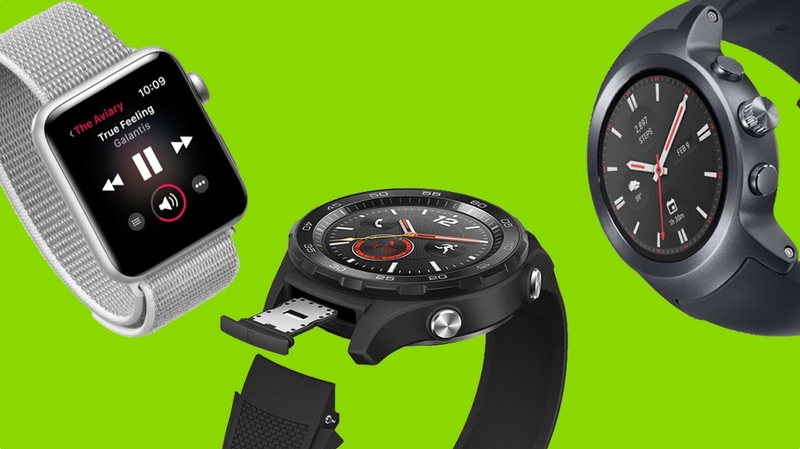 However, with LTE beginning to make its mark on devices such as the LG Watch Sport, Huawei Watch 2 and Samsung Gear S3, watches are finally cutting the tether and letting users go standalone. And while this is a feature that has been available in smartwatches for some time, now that Apple has brought it to the Apple Watch Series 3, it's finally expected to go mainstream. But just what does it all mean, and is it worth shelling out cash for the added feature? Well, read on to find out everything you need to know about LTE in smartwatches. What is LTE? What does it do? Yeah, just what the hell is it? Well, essentially Long Term Evolution (LTE) is the latest, fastest standard for 4G wireless communication between devices. And in smartwatch terms, this allows you to connect to cellular networks and take calls, use apps, receive and send messages and take part in all the other usual smartphone frivolities – without your smartphone being nearby. If you go out on a run, you'll no longer need to miss out on a call or text, while leaving a phone at home becomes a genuine option for those interested. There are a couple of caveats, though. In order for your smartwatch to mimic your phone, it has to be able to connect to the same network carrier. And for those wanting to leave their phone behind, taking calls from the wrist requires you to link the same number as your smartphone. Do I need to switch my SIM card over? Instead of having to carry a SIM ejector around with you and deal with a physical card, some watches use eSIM technology, which is essentially an embedded variant that can't be moved from the hood. One of the first examples we saw of this was Samsung's Gear S2 3G, though of course the Apple Watch Series 3 is expected to make this a staple of future devices. The benefit of this tech over regular SIM cards is the smaller size – companies are already trying to reduce size, so this is a natural step – and the efficiency of sharing your number between phone and watch through software. As we know from dealing with the physical SIM setup of the Huawei Watch 2 and LG Watch Sport, the eSIM situation is much preferable. As you might expect, this all depends on the carrier you decide to go with. Although LTE gives your watch the opportunity to go it alone, deals will often be bundled with a smartphone, since you need to be rocking the same network and the two go hand in hand. But again, the answer is generally yes for those with a data plan. Let's use the LG Watch Sport as an example. Despite being sold unlocked through the Google Store for those who aren't interested in the device's LTE tricks, tacking it onto a Verizon phone plan will cost users an extra $5 a month. Meanwhile, AT&T offer the same premise but for a further $10 per month. An added complication of this is exclusivity. Using the LG Watch Sport as an example once more, different colour variations are only available through certain networks, meaning you could miss out on a specific finish if you're already locked in to another provider via your smartphone. In US, the Apple Watch Series 3 with LTE will be offered with AT&T, Sprint, T-Mobile and Horizon contracts for an extra $10 per month, and in the UK it's an EE exclusive for an extra £5 tacked on. Deciphering which sensors and what activities affects your battery is always a tough game, but the answer is, well, yes – using LTE will generally sap your battery faster than if you weren't using it. Take Apple's Series 3 as an example. Cupertino says you can expect an hour of talk time via LTE and three hours of talk time when connected to an iPhone. Exercising outdoors gets you four hours with LTE and GPS, five hours with GPS alone and 10 hours with neither. What we often see from devices harbouring LTE is a bigger battery (and unfortunately a bigger build) in order to offset the power it's taking up. Also, if you're looking to save battery and eke out a few more hours in the day, simply switching to a feature-slimmed mode on your device should help you out.